Acrobat DC | Level 1 teaches you how to add text, graphics, animations, video, and sound into PDF Documents. Create buttons, form fields, and interactive documents, create digital signatures, password protected documents & more in this 2 day class! 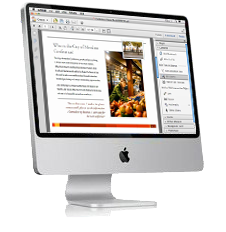 Acrobat DC is the world’s best PDF solution. Convert, sign, send, and manage documents on any device. Acrobat CC: Level 1 is for anyone creating and editing forms and PDF (Portable Document Format) documents could benefit from this informative hands-on training. This course is a beginner level class for those new to Adobe Acrobat. Also recommended by Adobe for those planning to obtain the Adobe Certified Expert (ACE) status. and Onsite Acrobat Training nationwide.